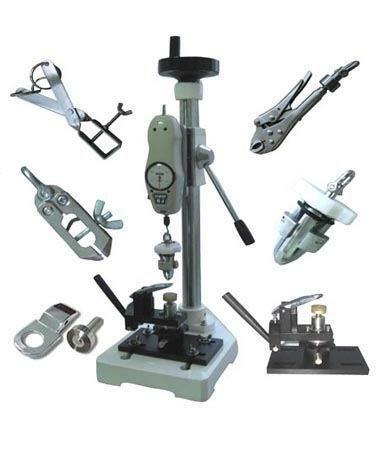 Various grasps clamps can perform many snap strength tests. Used to test snap attachment strength of buttons, which is very important to design and manufacturer of garments of infants and children wearing. To verify snaps to be firmly attached on apparels and to prevent loose snaps to be swallowed by infants which result in juridical responsibility. All snaps and buttons must withstand attachment strength of 90N for 10 seconds. If failed, these snap buttons are deemed to be unsafe. Approved by world famous retailers such as Wal-Mart, TCP, NIKE, H&M etc.